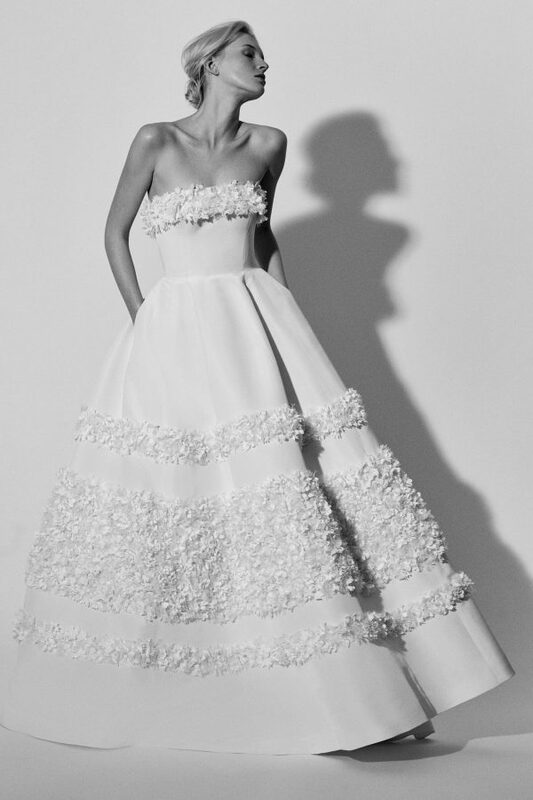 Set within a countryside garden, Carolina Herrera’s Spring 2018 Bridal Collection evokes soft femininity, elevating natural beauty with a touch of fantasy. Like the setting, the spirit of the collection stems from its roots, re ecting the style codes embodied by the iconic founder, and always focusing on the impeccable artistry from within her New York Atelier. 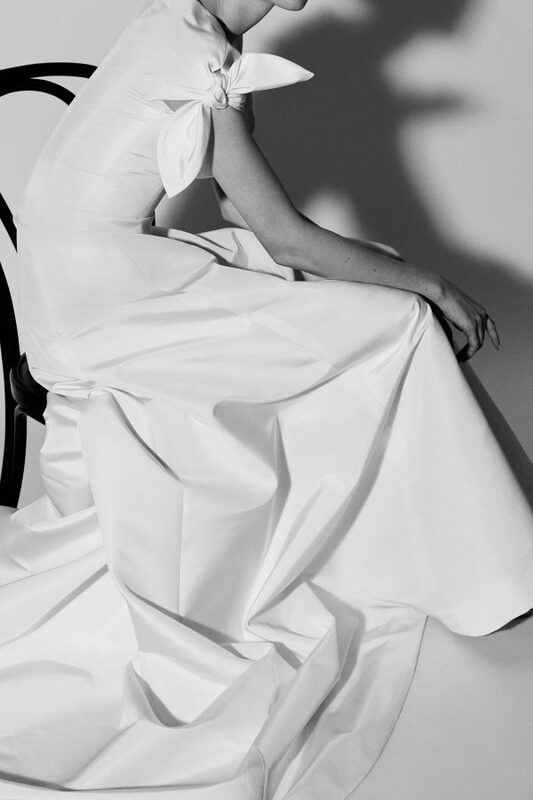 It is from Carolina Herrera’s eye that the designs blossom. Signature shapes are re-imagined with hand-worked oral embroideries to elevate the bride’s beauty. 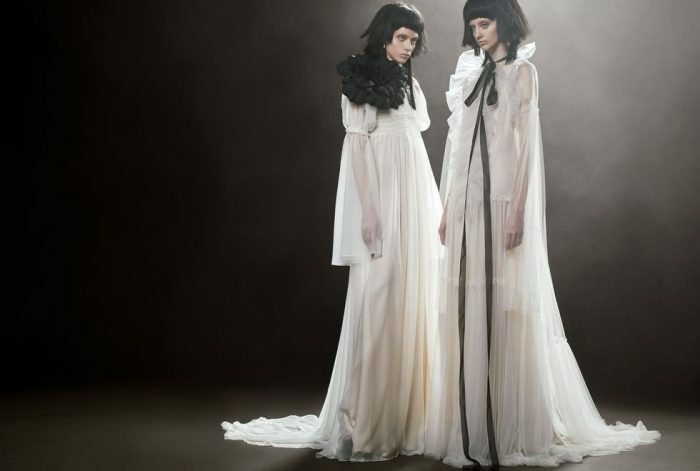 Chantilly and giupure laces on sleek silhouettes create whimsical poetry in motion. The effect is effortless and romantic. 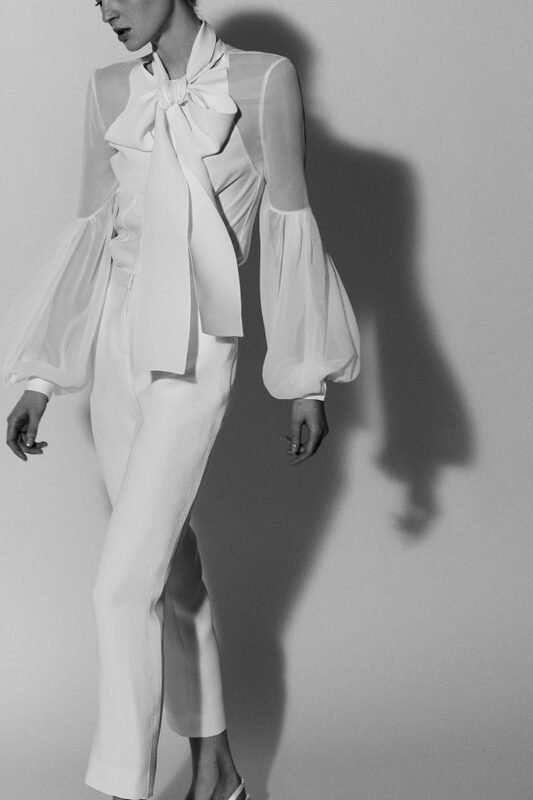 Separates, including tuxedo pants paired with a dramatic chiffon blouse, tulle ball skirts, and delicately embroidered knits, highlight the collection’s modern versatility and provide options for every bridal occasion. With Carolina Herrera’s signature elements of surprise and femininity, subtle touches of velvet and grosgrain detailing add a finishing touch to the collection. An exquisite garden in full bloom, the Carolina Herrera bride always leaves an unforgettable impression.